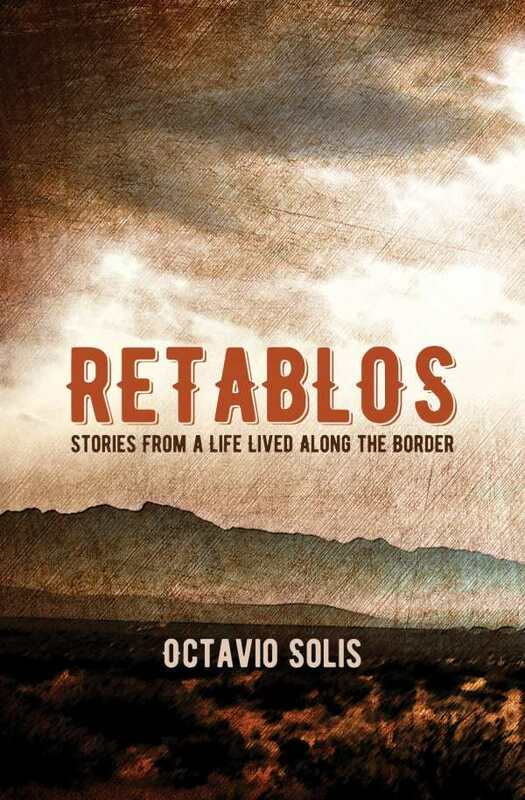 The stories that make up Octavio Solis’s Retablos are as taut, riveting, and immersive as the sunrise in a red rock desert. Be forewarned—they’re addictive. Retablos are brightly painted scenes on flattened pieces of metal depicting personal crises whose positive outcomes were achieved through divine intervention. The fifty pieces of this collection are prose retablos—memories of growing up Mexican-American in the borderlands of El Paso, Texas. Although each scenario is complete within itself, they are arranged in roughly chronological order. Most pieces revolve around single scenes or incidents, relying on spare but precisely chosen details and emotional grace notes to convey a larger, deeper story. Accompanying his mother on repeated drives to a middle-class neighborhood of small, neat houses with trimmed lawns, the narrator recognizes his mother’s unexpressed yearning for something better, and her guilt over wanting it—yearnings reflected in the narrator’s own “less brown” vision of himself in such a house. A story about stealing pomegranates from a neighbor’s garden is about a child’s capacity for harsh self-punishment. Less intense scenarios include one about bandleader Herb Alpert being a “Mexican” role model despite his Ukrainian-Romanian descent. All this is delivered in a deftly crafted voice that’s distinctive yet utterly natural. As the narrator progresses from a boy to a young adult, the voice subtly matures, moving easily from one retablo to the next, pulling the reader along. The slow accretion of incidents, voices, and details creates a coherent and understandable—if unfamiliar—world, like sharp shards of glass resolving into a mosaic that’s sometimes wrenching, sometimes humorous, and always compelling.